A sneak preview of the Literary Footprints Festival | That's London Baby! Happy Sunday everyone! Time for a new guest blog, this time from London Baby’s favourite London Guide. 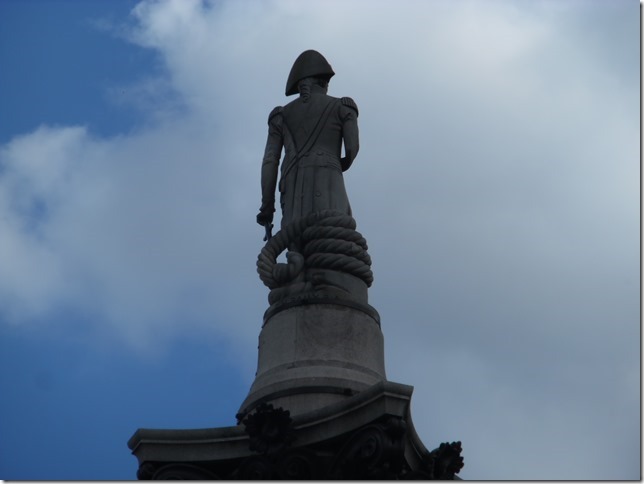 Rob Smith is a London walking guide with Footprints of London and his guest blog looks at Literary Locations in London. In October Footprints of London are holding the Literary Footprints Festival – a series of walks celebrating London’s literary heritage. Thisis idea of visiting places from literature is something the Footprints of London guides have developed into the Literary Footprints Festival. Now in its third year the Festival is a series of walks celebrating London books and authors. The walks connect the literature with places – for instance you can stand in the same churchyard that T S Eliot describes in The Waste Land and hear Tina read that part of the poem. Robin will be telling Sherlock Holmes stories, visiting the locations the action is set in. Jenni and Hazel can take you around places mentioned in Oliver Twist. The Festival starts on October 8th and runs to October 26th. Their are fifty walks in total and each guide really welcomes people to get chatting about the books involved – think of it as an outdoor book club. Walks cost £10 each (£7.50 concessions) but you can get a great value £40 season ticket which lets you go on all the walks. “Bond Street fascinated her; Bond Street early in the morning in the season; its flags flying; its shops; no splash; no glitter; one roll of tweed in the shop where her father had bought his suits for fifty years;” – Virginia Woolf – Mrs Dalloway. 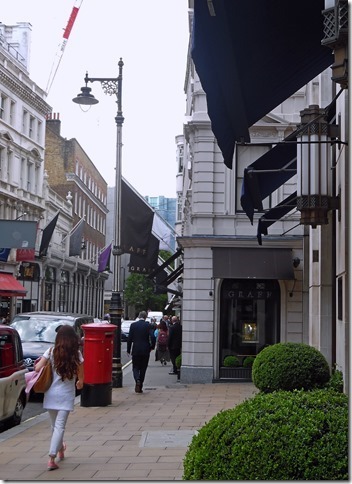 Bond Street has changed a bit since Virginia Woolf wrote this in 1925 – there is plenty of glitter now, but its great to stand there and see the flags flying on a sunny morning, just as Clarissa Dalloway did on her journey to buy flowers for her party. 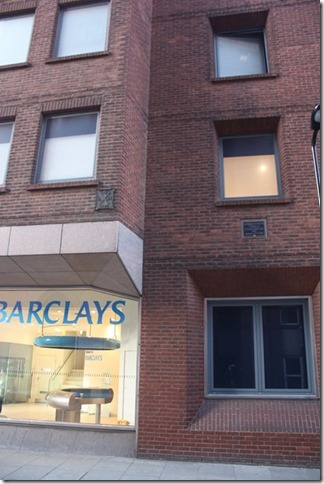 This really anonymous window above a bank in Brook Street may not look particularly interesting, but its on the site of another more famous window, the one belonging to the room where the poet Thomas Chatterton died in 1770 after poisoning himself with arsenic. 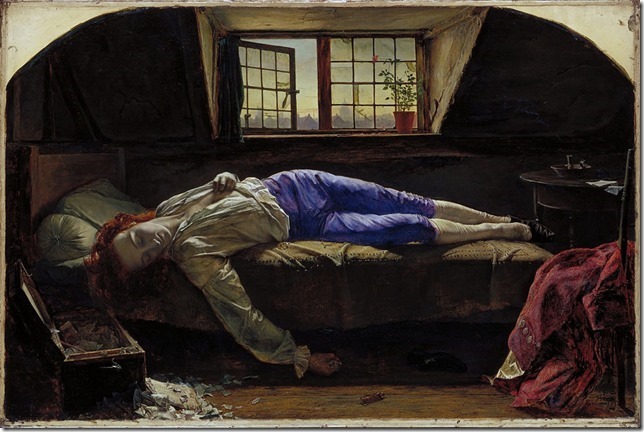 Chatterton’s death was turned into a painting by Henry Wallis in 1856, which you can see at Tate Britain, and Chatterton became a hero to young artists as someone who died a tragically young death after struggling with his art. 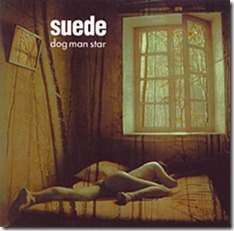 Its possible the cover of Suede’s album Dog Man Star was inspired by the Death of Chatterton. Either way I wonder if people working in the bank know they are working in the same place an eighteenth century poet died. Obviously Trafalgar Square is one of London’s most famous locations, but its chilling to stand there and read Orwell’s description of it transformed into Victory Square. I like the way that Nelson’s column and the statue of King Charles have been renamed to give them a completely different meaning. ← Swimming like a King – the King’s Cross Pond Report! Pingback: #litfest launch -A walk through Shakespeare’s London | That's London Baby! Pingback: Sober October, Stoptober? Not with London Baby! Exciting times ahead! | That's London Baby!